With this mysterious sparkler, we’ve got at least some background to go on. The tiara was worn by Queen Elizabeth II on a visit to Canada in 1970 (hence my name for the piece). 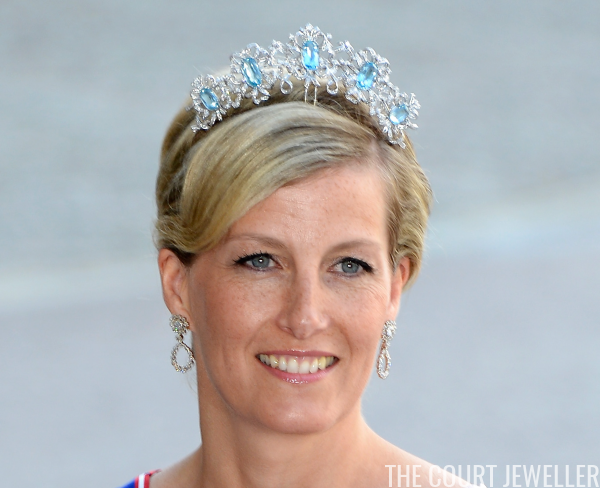 Many royal jewel experts thought that it had been one of the pieces broken up and used to form the queen’s larger Brazilian Aquamarine Tiara. 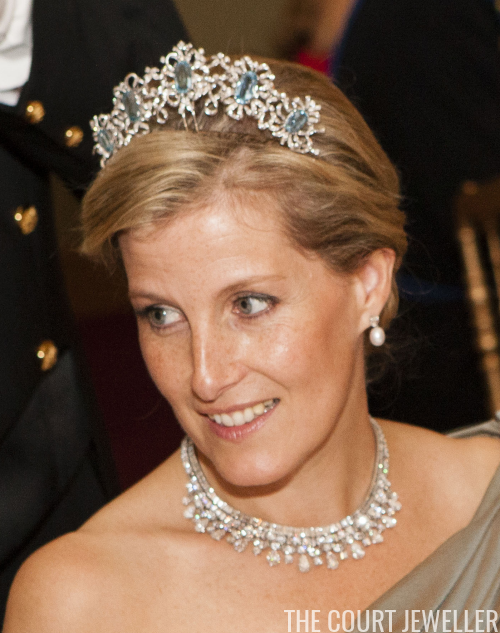 In 2012, though, the Countess of Wessex unexpectedly appeared in the tiara at a dinner held the night before the wedding of Hereditary Grand Duke Guillaume of Luxembourg. 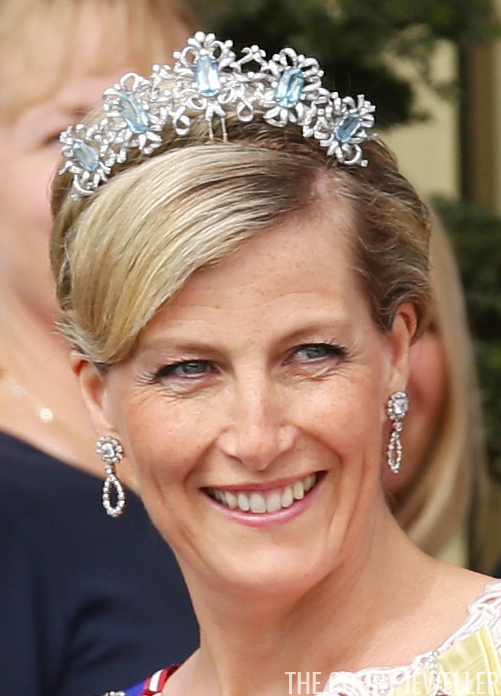 She wore it again at the wedding of Princess Madeleine of Sweden in 2013 (pictured below).